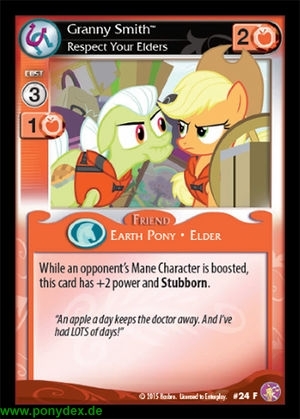 While an opponent's Mane Character is boosted, this card has +2 power and Stubborn (This card can still apply its power during faceoffs and the Score Phase even if exhausted.). "An apple a day keeps the doctor away. And I've had LOTS of days!